The biggest news in pop culture right now has of course been the wedding of Prince William and Kate Middleton! There's so much fascination surrounding the details of the wedding; a few details have been released so far, but the most intersting ones are still under wraps, like who designed her dress. Palace workers are also worried about the possible rain for friday's ceremony, and are keeping plenty of umbrellas on hand to make sure nothing is ruined. Here are a few of the details we DO know so far, the rest we'll have to wait until friday to find out. Coverage of the wedding begins around 2AM tonight, looks like slumber party time!! One thing we do know is that the cake will indeed be a multi layer fruitcake designed by London based baker Fiona Cairns. She started baking 4 weeks in advance to allow for the process it takes to make a fruit cake, involving soaking it in rum. Fruitcakes are traditional English treats usually reserved for weddings and Christmas. Also under top secret wraps are the details of the soon to be married couple's bachelor and bachelorette parties. Both have taken place, and the details of both have been kept heavily guarded. The bachelor party took place at a private estate with about 20 of Prince William's closest friends. Word got out that the party was to center around water sports, so they actually switched the theme to keep us guessing. Kate's sister Pippa planned out her party, and actually booked four different venues and only told the guests where it was right before the event to keep as private as possible. 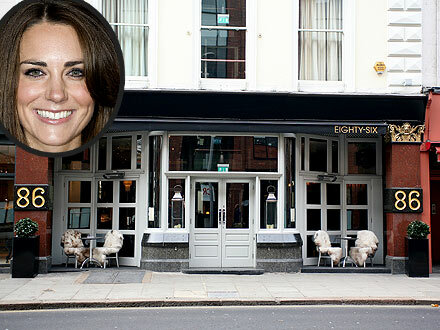 One of the venues she booked was the trendy Eighty-Six restaurant in London, and a Dirty Dancing themed party at the Middleton house was said to have been planned as well. Every girl wants to feel like a princess on her wedding day, Kate Middleton is one of the few who actually will be. With that comes the ever difficult decision: which tiara should to wear? She has a few choices to pick from, none of which I would mind borrowing for a day as well. The first (top left) once belonged to Queen Mary's mother, the Duchess of Teck, whose prized jewelry collection was passed down to her daughter upon her death in 1897. Her second choice is the Strathmore (top right), given to the late Queen Mother on the occasion of her engagement to Prince Albert. 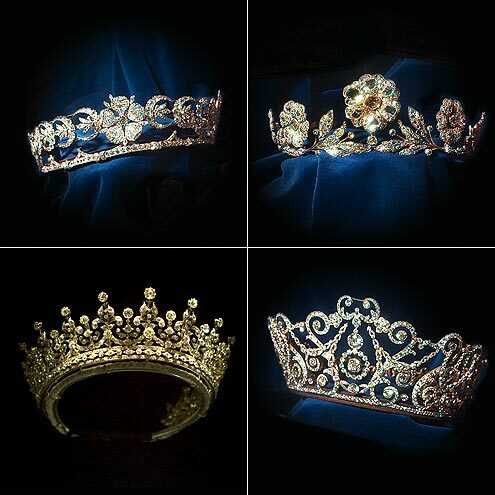 The third choice is The Girls of Great Britain and Ireland tiara (bottom left) which was Worn by Queen Mary, it was passed to granddaughter Elizabeth on her wedding day. Since then, the headpiece has been spotted on the Queen during her visit to Bangladesh in 1983 and, more recently, to a state dinner in Toronto. Finally, a fourth (and most unlikely) choice could be the Delhi Durbar (bottom right). It was made by Garrard for Queen Mary during the Delhi Durbar in 1911. The Delhi Durbar is when King George V and Queen Mary became the rulers of India. It is unlikely that this will be her choice though because it has more recently been seen on Prince Charles' new wife Camilla. The royal couple chose some special favors to give out. Guests like Elton John, David and Victoria Beckham, and Joss Stone will receive custom luxury scarves made by Centex, a posh apparel company who manufactures scarves for companies like Burberry. The scarves will come in three color combinations and feature the Union Jack design on them with an animal print. I'll take the tan and purple one, please! Make sure to set yours DVRs for early friday morning coverage, it's sure to be a spectacle! !